Aston University is the UK’s leading university for business and the professions, situated in the centre of Birmingham. It is a long established research-led University, known for its world-class teaching quality and strong links to industry, government and commerce. With a focus on the application of knowledge for economic & social benefit, Aston University has a distinct mission that sets us apart. Our mission is to be the UK’s leading University for business, enterprise and the professions, where original research has a positive impact on the world around us. Areas of strength in social enterprise include specialist teaching and research faculty in the Economics, Finance and Entrepreneurship Department of Aston Business School and a national network of 1,300 growth businesses, including 90 social enterprises that are supported by Aston as alumni of the Goldman Sachs 10,000 Small Businesses programme. Aston has an active Enactus society, and a wide range of opportunities for students and graduates to participate in initiatives such as the Hult Prize, Social Storm and summer social enterprise programmes in Africa with Balloon Ventures. Aston also leads BSEEN, a flagship business start-up programme, part-funded by ERDF, in collaboration with three Birmingham-based universities. BSEEN and our other programmes including the HEFCE UnLtd project have been responsible for Aston creating 21 new social enterprises in the last five years. A specialist faculty at Aston Business School is involved in leading research into social entrepreneurship. Impact from this activity takes the form of engagement through conferences and workshops, as well as data and research outputs. For example, a team at Aston Business School were partners and lead Seforis, which is a major European funded project investigating the potential of social enterprise to enhance the innovativeness and inclusiveness of societies. The Seforis project spans a total of 12 organisations across 11 countries (Belgium, Germany, Hungary, Portugal, Romania, Spain, Sweden, UK, as well as China and Russia). The 12 organisations are leading international universities and business schools such as KU Leuven (Belgium), the Stockholm School of Economics (Sweden), LUISS Business School (Italy), Higher School of Economics (Russia), Hertie School of Governance etc. – and critically social enterprise support organizations including UnLtd., Oksigen Lab (Belgium), I-propeller (Belgium), NEsST (Hungary and Romania) and NPI China. The project advisors include the OCED (France), Harvard Business School (USA) and the European Venture Philanthropy Association (Belgium). Furthermore, Professor Stephan has been developed links with other leading international universities, e.g. the Asia Centre for Social Enterprise and Philanthropy at the National University of Singapore in Asia, to develop a global network of linked research centres on social enterprise. 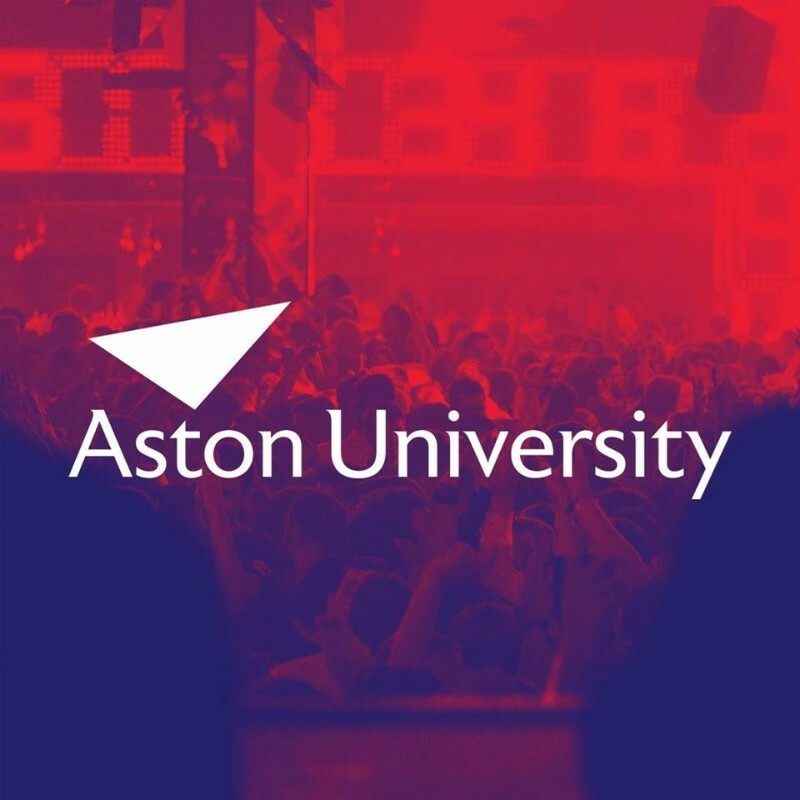 Aston delivers leadership and management education to entrepreneurs through its small business growth programmes including the national Goldman Sachs 10,000 Small Businesses programme that we have been involved in since 2011, and the Aston Programme for Small Business Growth. We specifically encourage applications from social enterprises and have had social enterprises amongst every growth programme cohort we have delivered, with more than 40 participating in the last 5 years. We teach business and leadership skills in the same way to social entrepreneurs and non-social entrepreneurs, and believe that mixing the two together in a peer learning environment is of benefit to both. An example of businesses innovating in their approach as a result of this practice was an automotive manufacturer, Autins, which employed people with learning disabilities for the first time through a collaboration with Colebridge Enterprises (social enterprise) when both businesses were participating in a growth programme at Aston in 2013. We work closely with all faculty and external speakers to ensure that the content and tools are applicable to social enterprises, for example when using the Business Model Canvas we provide versions which capture social and environmental benefit. We use social enterprise case studies in the classroom and include specific content on social objectives and sustainability that are attended by all businesses whether social enterprises or not. The national Enterprise Research Centre (ERC) is jointly hosted at Aston University and the University of Warwick. ERC brings the evidence base on small and medium-sized enterprises (SMEs) and enterprise together, drives out new research insights and works to ensure research shapes better policies and practices to help SMEs to grow. Social Enterprise is an integral part of this work and ERC’s research programme includes specific research into social enterprise and mission led businesses. ERC has an annual “State of Small Business Britain” conference. The 2016 conference in the Shard in front of a national audience of policy makers included a keynote speech by Cliff Prior of Big Society Capital on social enterprises and the social investment market, and a panel session including Prof Ute Stephan about social enterprises and inclusive, mission-led SMEs. The expertise gained through ERC and the SEFORIS projects resulted in a current project the Department of Business, Entergy and Industrial Strategy jointly with the Government Inclusive Economy Unit, which re-assesses, refines and improves the methodology for identifying and measuring social enterprises in the UK. Robust estimates of the number of social enterprises in the UK provide a basis for policy making and are an essential benchmark for social enterprises support organisations. The report (to be published in July) also offers insights into the drivers of social enterprise performance and comparisons against commercial and mission-led SMEs. This work is led by Professor Ute Stephan. The specialist team at Aston Business School, including Prof Ute Stephan, Dr Emma Folmer and Dr Anna Rebmann, is undertaking world leading research and translating that research into the classroom, ensuring that Aston’s enterprise and entrepreneurship modules teach social enterprise models and objectives alongside those of the wider business population. A new dedicated social enterprise module is under development to be delivered across the university and seeks to excite undergraduate students about social enterprise through hands-on projects developed in interdisciplinary teams. Learning about social enterprise is integrated into enterprise modules across all schools at Aston through a cross-school group on Enterprise in the Curriculum. Aston regularly works with partner universities - for example from 2011 to 2015 we worked with academics from the Skoll Centre for Social Entrepreneurship at Said Business School in Oxford to deliver specialist modules for our business growth programmes. Other university partners we have worked closely with on the Goldman Sachs 10,000 Small Businesses programme and Small Business Charter Growth Vouchers programme (both of which have provided leadership and management education for social entrepreneurs and other small business leaders) include Leeds University Business School, Manchester Metropolitan Business School, University College London, Nottingham Business School, and the universities of Loughborough and Nottingham. Our network of social enterprises includes strategic organisations such as Sustainability West Midlands, and iSE which is based in Digbeth and supports a network of small social enterprises in Birmingham. We have worked with these organisations and other key contacts such as Melanie Mills who was Chief Executive of Social Enterprise West Midlands and is now with Big Society Capital to encourage more social entrepreneurs to access our specialist growth programmes. Aston academics nurture the next generation of social enterprise researchers through PhD provision. PhD projects span from effective feedback seeking strategies of nascent social entrepreneurs to understanding the challenging nature of work by employees in social enterprises in Ghana. Balloon Fellowship gives students the opportunity to join an intensive six week programme working with micro entrepreneurs to rapidly innovate and test new business ideas. With programmes in Kenya, Ghana, Uganda and the Philippines students have had the opportunity to learn about entrepreneurship across a range of cultures. Aston University has given bursaries to students to take part in this unique social enterprise experience. Distinctive to Aston is that our work to close skills gaps goes hand in hand with our mission to deliver social mobility. Over 70% of our students are the first in their generation to enter higher education, and 42% come from disadvantaged backgrounds. The same mission applies to our on-campus school, the Aston University Engineering Academy and Aston University Sixth Form, where students from the local community are being developed into the future STEM workforce. Aston University aims to keep its campus one of the greenest and most sustainable in the country and have a range of projects to achieve this, including the internationally acclaimed ISO 14001, ISO 5001 and Eco-campus Platinum environmental and energy management systems. Our efforts have helped place the University 6th in the 2016 People and Planet University Green League. Aston’s Green Team are responsible for endorsing sustainable travel, reducing carbon emissions and promoting ‘Kitty the Kestrel’; inspired by kestrels that have nested on the University’s Main Building. The University has created a ‘Go Green’ competition whereby departments at the University are encouraged to take part in a monthly campaign that end with a ranking of each department’s electricity usage. The European Bioenergy Research Institute (EBRI) delivers world-class bioenergy and energy systems research. It acts as a focus for international activities on scientific and technological aspects of biomass conversion and utilisation of products for renewable power, heat, transport fuels, hydrogen and chemicals. Innovative research and development of bioenergy technologies has taken place at Aston University for over 40 years, led by Professor Tony Bridgwater of Aston’s Bioenergy Research Group (BERG). In 2008, the University’s bioenergy research capabilities were joined together to create the European Bioenergy Research Institute – an Institute to deliver world-class research and technology development in bioenergy and energy systems. In terms of staff volunteering, the University is currently working with six external organisations whose work impacts on communities local to Aston and the Birmingham area. Some of the organisations that Aston works with are SIFA Fireside, Dyslexia Association Birmingham and Safeside. Volunteering benefits the local community, the University and the volunteer. The University also has in place a Staff Volunteering Policy and Charter. BSEEN and our other programmes including the HEFCE UnLtd project have been responsible for Aston creating 21 new social enterprises in the last five years. We have had social enterprises amongst every growth programme cohort we have delivered, with more than 40 participating at Aston in the last 5 years. We support 90 social enterprises that are member of the national Goldman Sachs 10,000 Small Businesses alumni community, over 30 of which are based in the Midlands. Of these 5 social enterprise leaders have been made Visiting Industrial Fellows of Aston Business School in recognition of the engagement they have with Aston, and are heavily involved in activities such as providing case studies in the classroom, appearing on panels discussing SME issues at our business events, and mentoring students. The Aston Programme for Small Business Growth, which provides leadership and management education for early stage businesses, has had 5 social enterprises involved so far out of approximately 50 businesses overall. At least another 6 social enterprises have participated in our other activities including Pitchfest West Midlands and the Small Business Charter Growth Vouchers programme. 30 Aston students participated in Social Storm, an international competition in November 2016. Over 250 students from 19 universities across Europe, Africa and India took part. Using the latest communication technology students in virtual multinational teams worked for 24 hours to tackle sustainable housing and food security, with sustainable solution ideas. We support social enterprises to grow, and thereby increase their capacity to make an impact with their beneficiaries, and we collect evidence of their growth and impact through the rigorous evaluation of our programmes. We evaluate our programmes and monitor the impact on participating businesses, looking at growth indicators such as job creation and turnover. We have a research programme underway that will evaluate the impact and outcomes of entrepreneurship education and incubation. This will, for example, give us data about the longer term outcomes for the 21 entrepreneurs who have started social enterprises as a result of participation in our programmes such as BSEEN. BSEEN aims to create sustainable businesses with growth potential. It also aims to create additional jobs by building a culture of enterprise among the local student and graduate community that equips each individual with the skills, knowledge and confidence required to start a business or secure graduate level employment. Ultimately BSEEN thus seeks to reduce graduate unemployment rates through increasing student/graduate business start-ups and employability. We are undertaking two strands of research which will evaluate BSEEN’s efforts to reach these goals whilst adding to the academic body of knowledge on the effects of entrepreneurship education in HEIs. These two strands are: investigating enterprise/entrepreneurship awareness; and evaluating the effect of BSEEN on entrepreneurship and employability. We monitor the graduate destinations and placement uptake amongst BME, disadvantaged and disabled students at Aston, and use data about background, engagement and transition of students. Distinctive to Aston is that our work to close skills gaps goes hand in hand with our mission to deliver social mobility. Over 70% of our students are the first in their generation to enter higher education, and 42% come from disadvantaged backgrounds. The same mission applies to our on-campus school, the Aston University Engineering Academy and Aston University Sixth Form, where students from the local community are being developed into the future STEM workforce. Over 80% of Aston graduates are in a graduate-level job or further study within six months of graduation – well above the national average. Aston University was one of the first UK universities to develop Degree Apprenticeships, and the UK’s first Degree Apprentices will graduate from Aston in July 2017. Aston University received “Highly Commended” in the HEI of 2017 category yesterday in the SEE Change Recognition Awards.